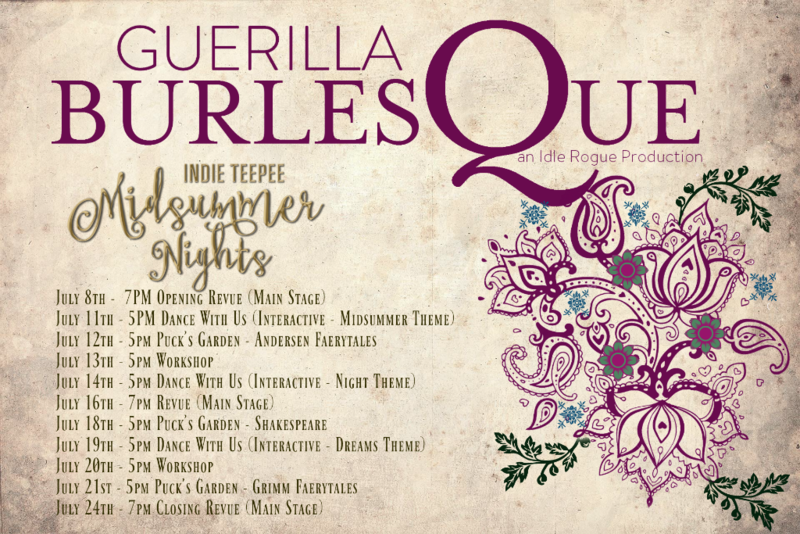 We are very excited to provide you with the schedule of events we are performing in the upcoming Indie Teepee Festival, which runs July 8-24. We will do a Revue show each weekend (Friday 8th, Saturday 16th and Sunday 24th) at 7pm and most weekdays have events at 5pm, including Cordie’s Interactives, Chrissy’s Puck’s Garden shows and workshops with Deb. Additionally, Thea’s beautiful garden build is a wonderful place to base yourself for other festival activities, which include live music, DJs, exhibitions, games, forums and SHOPPING! Please check out the Indie Teepee Website and Facebook page for more information on the festival, and join us inworld or on facebook for announcements.